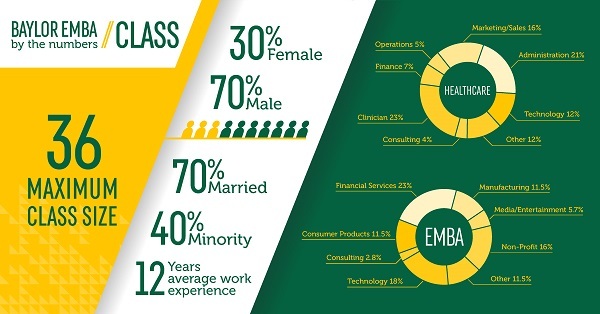 The Baylor Executive MBA Healthcare Program is designed for industry professionals just like you. Offered through the distinctive Robbins Institute for Health Policy and Leadership, the EMBA Healthcare Program combines rigor and relevance, to equip you for the challenges ahead. Our EMBA curriculum, delivered in a lockstep, cohort format, focuses on building your business acumen while also instilling specific healthcare expertise that is vital to your development as an executive leader in healthcare. 5-Day seminar held in Washington, D.C.